This is one of those quick studies that started out as me staring at the bag of someone sitting next to me at a restaurant. The bit that fascinated me was how the circular brass handle was attached to her leather bag. The question: What are some possible designs for a version where the top of the bag doesn’t feature a cut-out to couch the handle? How do you get the brass handle to evenly carry the stress of the contents of the bag? Bonus points if it remains in an upright position when resting instead of falling to the side. This exercise was fun and I think I’ll revisit this later with some more developed sketches. 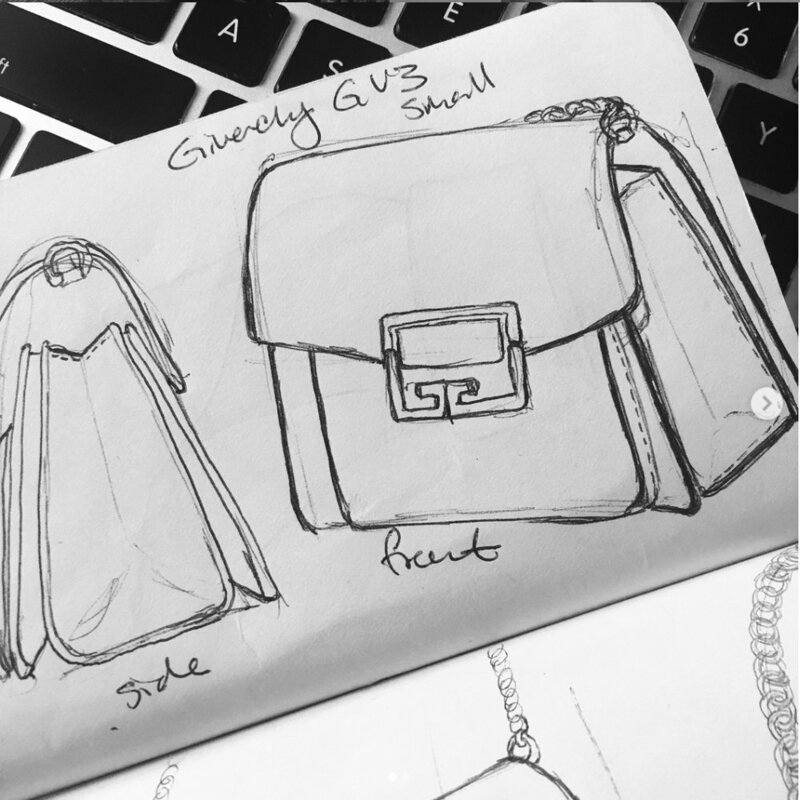 I’m still working on fashion illustration skills to better describe construction details (so I don’t have to make prototypes just to talk in detail about a pocket). The best practice I’ve found is just drawing bags I see out in the wild. I was fascinated by the side gusset on this lil guy. It seemed like a normal accordion construction at first, but the front and back are actually separate pouches that seem like they’re floating on either side of the main compartment. That construction also offers a great opportunity for color blocking and mixing leather textures.